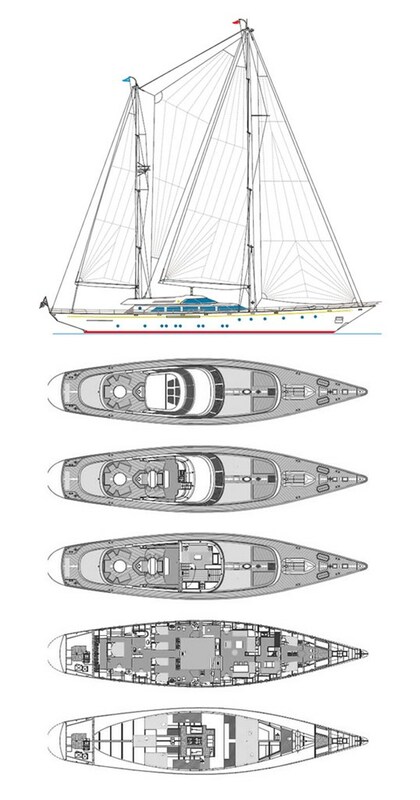 Purchased by a leading Italian businessman and industry leader, S/Y Carlotta was an evolution of the 36m S/Y Gitana. With length increased to 37m, it featured an enclosed deck house and a more protected cockpit. In the same hands since its first delivery, it is immaculately kept and lovingluy used.